You may think shopping for a toilet will be a breeze and the only thing to look out for is the price tag. However, there is a reason why prices vary. Toilets come in different styles, colors and types. For example, some toilet types include gravity feed, pressure-assisted, wall-hung and floor mount. It's important to know your needs and the difference between these things before heading to the store. The modern and oldest type of toilet in North America is a gravity-feed toilet. This means it uses gravity to flush waste. A toilet tank's job is to hold water that drops into the bowl when you push the flush valve. When the water moves through, the bowl will push the waste through the trapway. With gravity-feed toilets, they use a siphoning action in the bowl, and this motion is what gets the bowl clean. Additionally, gravity-feed toilets are known for their quiet flushing quality. Maintenance is also kept to a minimum due to not having many moving parts. If you're looking for a powerful flushing action, a pressure-assisted toilet is ideal. This type of toilet uses a system of pressurized air and forces water into the bowl from the tank with more power than most other toilets. A pressure-assisted toilet isn't as quiet as a gravity-feed, but it is more efficient. Clogs are less of an issue with this type of toilet, which makes it ideal for large families. 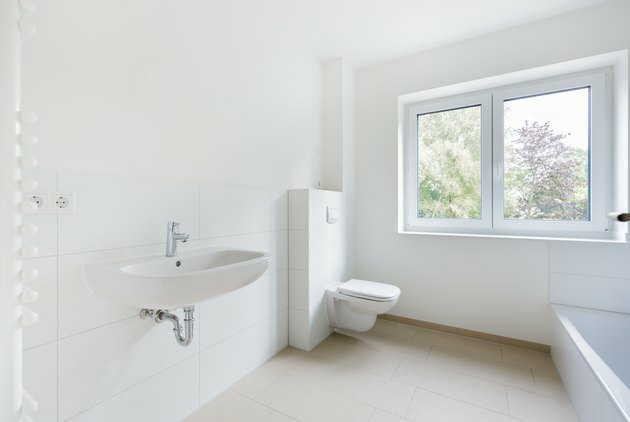 While a wall-hung toilet may be less common to see in homes, it's an efficient space saver. The flush plate is mounted to the wall and the tank is hidden behind the wall. Because of this type of toilet's design, it makes for easy cleaning. If you're in an apartment or small home with limited space, this is a great option. A floor mount toilet is exactly what it sounds like. A toilet that is mounted to the floor can come in several styles and types. For example, you can choose from different designs or even varying flush types such as single flush, dual flush or even touchless flush. With several options for toilets, it comes down to your personal preference. Additionally, you will want to make sure you measure the area where the new toilet will go so you know it will fit. Toilets don't just come in white, either. You can choose from a variety of colors to match your bathroom style. Toilet bowl shape can impact the design factor and comfort, and they usually come in elongated, compact elongated and rounded. What Is the Trapway Size on Kohler Toilets?